Count Dracula is the character of darkness that frightened millions of people, taking the myth of vampire to an unprecedented level in modern arts. Dracula (also known as Nospheratu) sums our fears in a bloody supernatural vampire. Known as the historical model of Count Dracula, Vlad the Impaler is considered a national hero in his native country - Romania. Vlad III Dracula is a Romanian national symbol of fight for independence against ottomans. This site is an encyclopedia dedicated to Count Dracula - the vampire and his historical inspiration *1 - Vlad III Dracula (aka Vlad the Impaler), prince of Walachia. 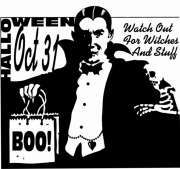 This site tries to get together the most important resources about Dracula's fictional and historical worlds - movies, books, historical resources, web resources. Was Dracula nothing else but a hero? Was he a dark vampire? Was he both? Or you might consider that there is no real connection between Count Dracula – the bloody vampire and Vlad the Impaler (aka Vlad Dracula) - the Romanian voievode. To decide, you'll have to read the content of the site. Find all the information you need about traveling in Transylvania and visiting the popular Dracula's lands. Make sure you know all the important sightseeing spots that should be enjoyed during your trip. Be ready to discover a world of courage, fear, patriotism and cruelty while wondering around Dracula's territory. 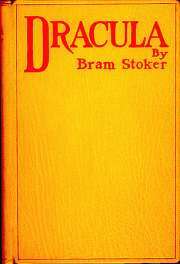 The book "Bram Stoker's Dracula" written by Bram Stoker has the rating of 9.02 from 83 votes. Book Cover of "Bram Stoker's Dracula"
The movie "Dracula" (1931) directed by Tod Browning has the rating of 9.53 from 603 votes. Movie Poster of "Dracula (1931)"
Enjoy the last pictures added to Dracula's pictures gallery. This section is periodically up-dated with suggestive images. Bring your contribution to this gallery dedicated to Dracula - both emperor and vampire - by adding pictures using the contact area. We are also honored to publish personal graphics/sketches/photos. In this section you will find exciting clips, short videos and trailers related to Dracula, Vlad III the Impaler, Vampires or the travel sights that should visited by all interested people. *1 The myth of Count Dracula in its actual acceptance has disputable roots. Officially, there are no direct correlations between Vlad III the Impaler – the emperor of Transylvania and the Count Dracula - the character of the novel Dracula by Bram Stocker. *2 the Best Book / Movie is set by our visitors rating.